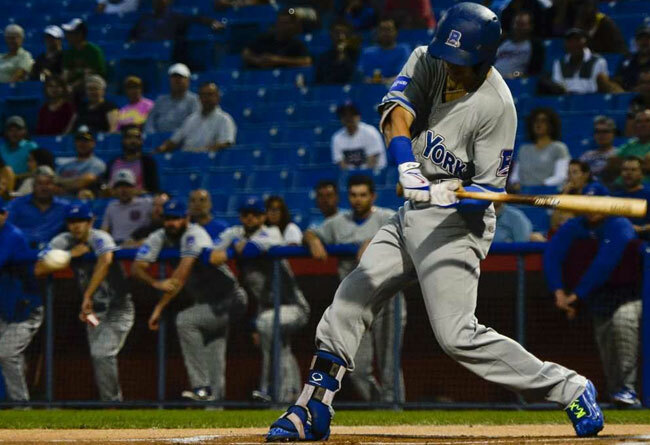 (Bridgewater, N.J., March 2, 2018) - The Somerset Patriots have signed infielder Mike Fransoso for the 2018 season. His rights were originally acquired in a trade with the Rockland Boulders for future considerations. Fransoso enters his first season with the Somerset Patriots and first in the Atlantic League. He spent the previous two seasons with the Boulders in the Can-Am League. The left-handed hitting infielder finished second on the team in batting in 2016 with a .291 average along with six home runs, 43 RBI and a .395 on-base percentage (OBP) over 86 games. Fransoso followed that up with a strong season last year in which he batted .272 with four home runs, 38 RBI and a career-high .406 OBP. The Portsmouth, New Hampshire native also ranked among league leaders in steals over the last two seasons. He finished 2016 with 21 stolen bases – eighth-most in the Can-Am League. Fransoso then followed that up with a career-high 30 stolen bases last year: third-most in the league. The University of Maine alum also finished second in the league in walks last year (68) and seventh in OBP (.406). Fransoso hit .282 with 10 home runs, 81 RBI, 51 stolen bases and a .400 OBP over 174 games in his two seasons in Rockland. Fransoso spent the first three years of his professional career in the Pittsburgh Pirates organization. The 27th-round draft pick from Maine has played every position defensively aside from catcher and first base, but has spent the majority of his time in the infield, including 114 games at shortstop. He owns a .259 batting average with 18 home runs, 145 RBI and 79 stolen bases over his five-year professional career.